This is a comprehensive guide to the history and practice of Bhakti Flow Yoga, a synthesis of Bhakti yoga (the yoga of devotion) and Vinyasa Flow. • the Bhakti Flow Yoga lifestyle: An overview of Ayurveda, including the doshas (constitution), nutrition, taste, and digestion, along with recommended Ayurvedic diet guidelines for general health. The section on vegetarianism offers practical advice on making the diet work for you. • the practice of Bhakti Flow Yoga: The section is divided into pose families, which include Basics, Standing Poses, Standing Balance Poses, Core, Arm Balances and Inversions, Backbends, Seated Poses and Twists, and Restorative Poses. 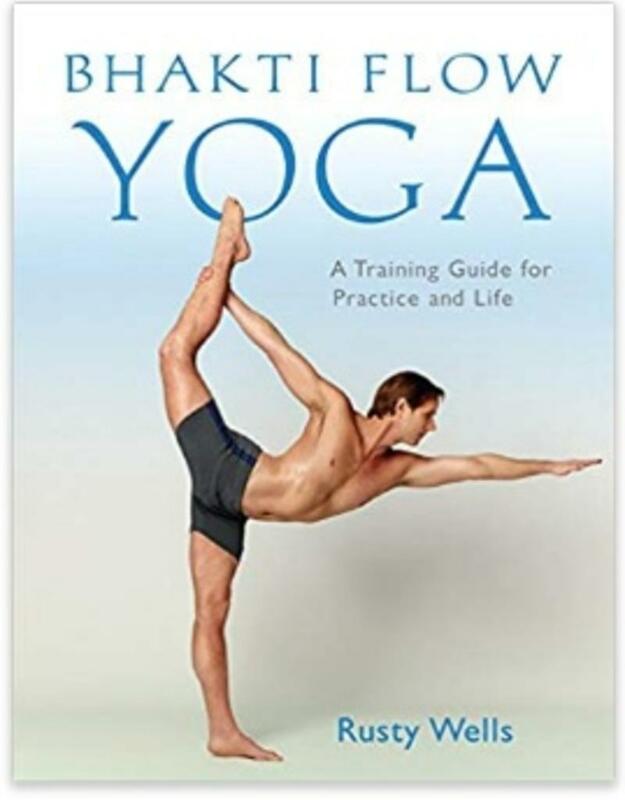 The author unpacks each of the yoga poses, with details on both physical and spiritual considerations of each pose. There are also discussions on drishti (point of focus), how to start a home practice, and practical tips for pregnant students or those with high blood pressure. Rusty Wells includes two sample sequences, along with recommendations on sequencing in general. The Beginner's Sequence is gentle, complete, and accessible for all body types. The Surya Flow 1 Sequence is an example of a strong one-hour vinyasa practice that can easily be a launching pad for more creativity. Wells also provides valuable insights on teaching yoga.